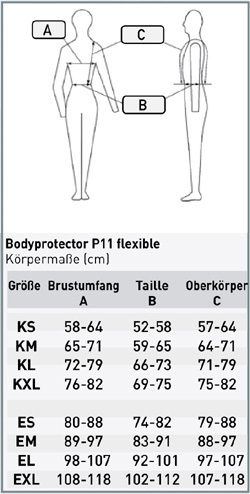 Bodyprotector, flexible with zip fastening. 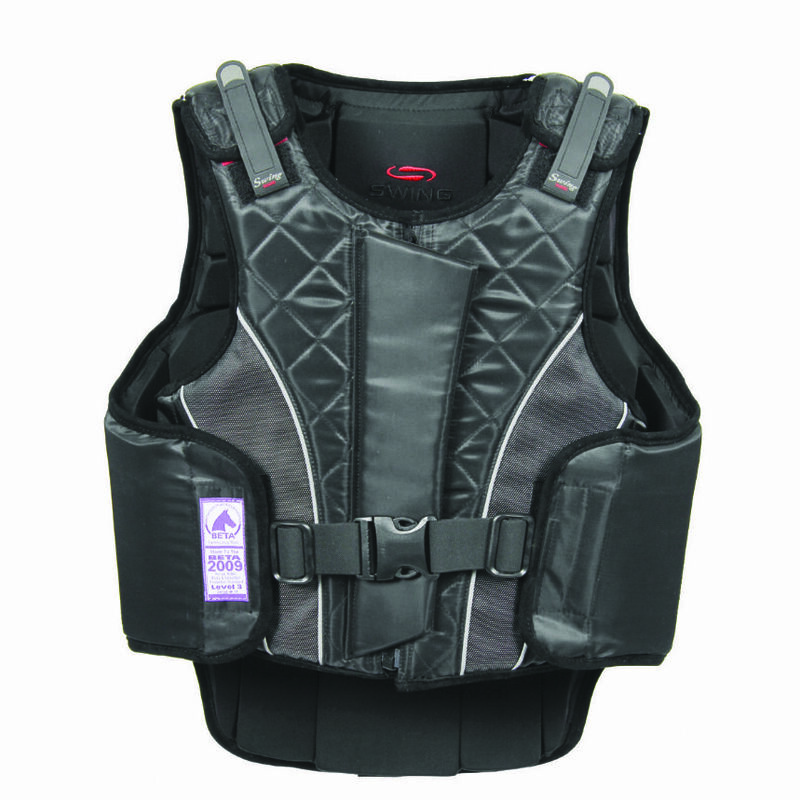 Professional body protector, suitable for leisure riding as well as for competition. 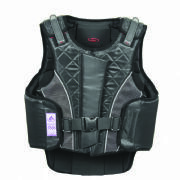 The high tech foam is partitioned into small blocks to ensure maximum safety and flexibility giving the wearer maximum comfort and freedom of movement. Individual size adjustment thanks to Velcro at the shoulders and the waist. 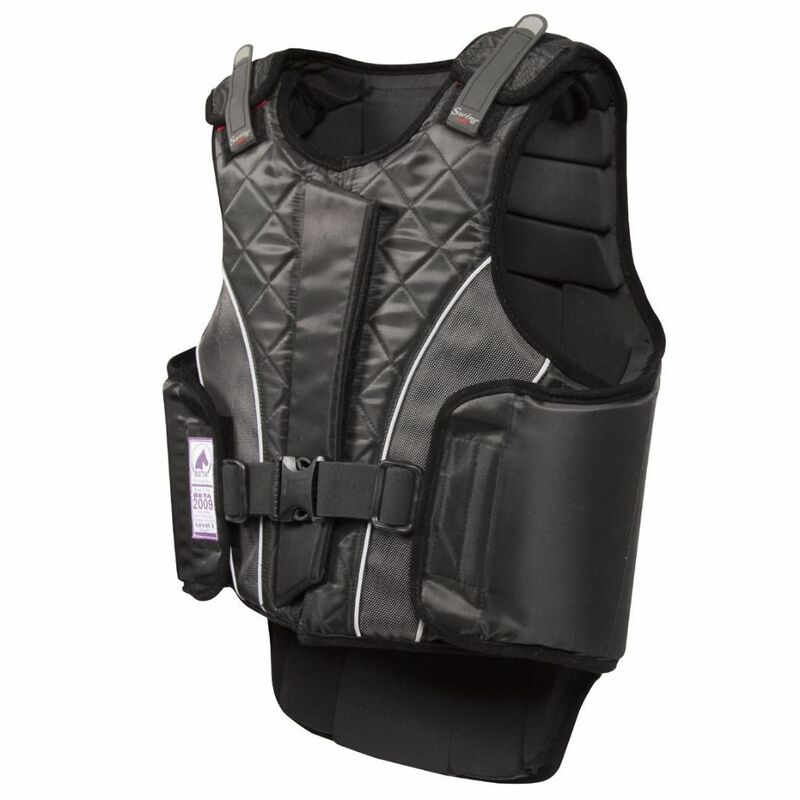 SWING body protectors protect your torso in case of a fall without restricting your freedom of movement. Hightech materials ensure your comfort and safety.